BestHybridBike-Reviews.com announces where people can find some of the best bike-related charities that people can either donate or participate in for charity. I think getting more people to participate in these events alongside me would be an even better way to show my support for these causes. Cycling charities have become more and more popular as a method to give and support a variety of different causes that help people in need. The team at BestHybridBike-Reviews.com asks anyone and everyone willing to support these great causes as a call-to-action this summer. BestHybridBike-Reviews.com, since the company was first founded, has been dedicated to helping people find the perfect bike for them. Their reviews have helped thousands of people find a bike that matches their needs at a discount. As a way to help people around the world, Coil and his team have provided people with some of the best charities they know, a few of which the team has even participated in themselves. Tour De Cure: The Cure De Cure is a unique charity because it actually takes place in a few different states. Participants can choose from lists of mile lengths and raise money to help find a cure for diabetes. Wheels for Life: This charity is dedicated to providing bikes to people in third-world countries. This charity accepts donations and the effects have really changed lives in other parts of the world. This is one of Coil’s favorite charities to donate to. 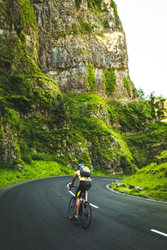 People for Bikes: The goal of this charity is to support the construction of local bike paths and get people riding bikes more often as a general way of getting the country into better health. All donations go to improving streets, building pathways, and even passing laws making it easier for people to bike as their main commuting resource. The good people at BestHybridBike-Reviews.com encourage people to find local cycling charities like the ones listed above and donate or participate. Coil also suggests looking into their bike reviews if people don’t already have a bike but still want to participate this summer.